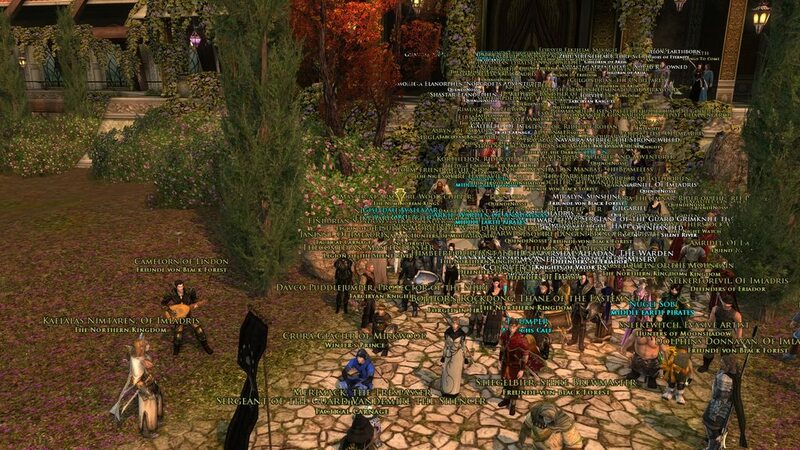 We are all saddened by the closure of our home for many years, Imladris. We've formed such a terrific community. To celebrate our time together, some people have suggested we have a farewell photo shoot with all of us together for one last time. What do you say? This thread is intended to lock down the time and place for the photo. Location: The suggested location is by the Last Homely House in Imladris (Rivendell), to go with our name. Is this okay or does anyone have other suggestions? Weebly-wobbly Timey-wimey stuff: How about 9pm Eastern (8 central, 7 Pacific)? Any other choices, jump in! Last edited by Ningannel; Aug 17 2015 at 12:51 AM. You know what also would be nice even though slightly stupid? 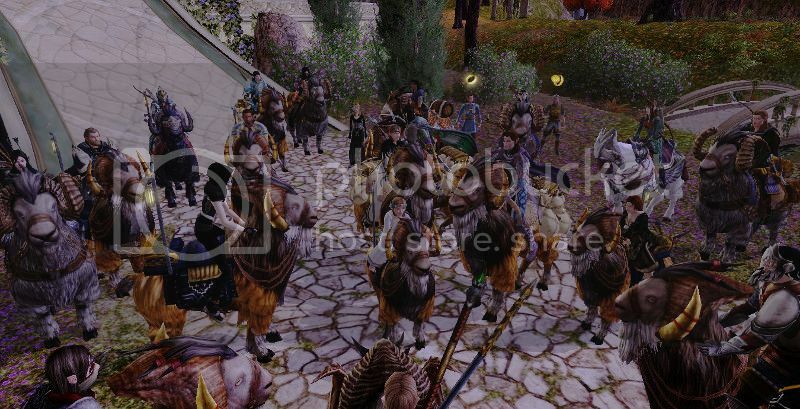 One last horse parade in Bree. that's actually a pretty cool idea. ning, i'm good for any of those dates. The Lover®: So suave. So cool. So debonair. So smooth. This is CYAN. This is TEAL. Know the difference. 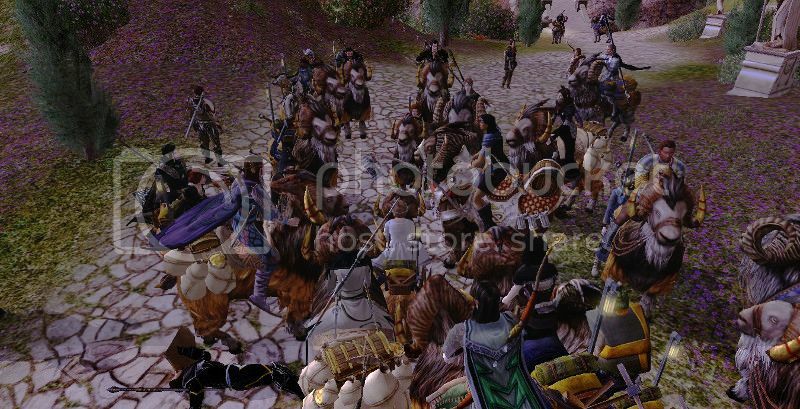 When I first considered this idea I thought the stairs at the entrance/exit of Moria (Lothlorien Side) would help to stagger everyone for the screenshot. But there may well be people who simply cant get there yet, so I like the idea of Rivendell, the slight slope in front of The Last Homely House maybe sufficient. Parade is a good idea as well, infact we could even tie in a chicken run. Maybe you could convince Iorviel to herd the cats that are Lagspike to show up? May as well make a day of it. Oh, and make sure everyone disables their titles for the photo. Just pick the date. I'll try to be there no matter what. Count me in whichever date you decide. Thanks Ning, for setting this up. Oh and don't forget your matches. Server wide picture - 3:00 pm server time, Saturday, 8/29 @ the Last Homely House. Everyone is invited! Contact Audriel for details. I like the idea of Rivendell, the slight slope in front of The Last Homely House maybe sufficient. Our picture in Imladris, of course! Cats are herded, family events are moved, and Lag Spike is coming. Pierced by the friendship of the mortal races. I don't see why there can't be future 'family photos'. I'm considering today to be 'gathering #1' and that we still have time to gather a few more times for those who can't make this time or want to bring on an alt or something to that effect. This was the best big group shot I was able to get. Maybe we should take smaller group photos? Here is a smaller group photo at the Bree stage. Let's not forget about the herd of goats! I'm not on Imladris but those are some great screenshots and they show a lot of community spirit. So sorry I couldn't make it - had a family thing I couldn't miss; but it makes me so happy to see the pictures! I will definitely be there if a similar event is held again. I am sure people will be willing to gather for more in the future.